"To stop the flow of music would be like the stopping of time itself, incredible and inconceivable." Congratulations to everybody that participated in this year’s Recital – you all performed very well and I know you’re proud of your achievements! We had twenty-four students play and sing (a few at the same time!) over fifty songs, ranging from our youngest two girls at five years old to our lovely adults. I’ve received lots of wonderful feedback from parents, and had a few comments from people that attended our first recital have saying how much every one has improved since last year! Fantastic to hear! I have some exciting plans for the end of the year, so keep up the amazing work during your lessons and at home – remember that every expert started out as a beginner. Congratulations to everybody who participated in our first ever mid-year recital on Sunday! I am so proud of how hard everybody has been working and the great performances given on the day. Alyssa, who played Madame Morrible in MPAC’s amazing production of Wicked. Gemma & Ella, for their great performances in Playlover’s production of The Trolleys. Lizzie, who will be performing at the Crown music night. Kate, Chloe & Zoe E, for their recent SVAPA performances. 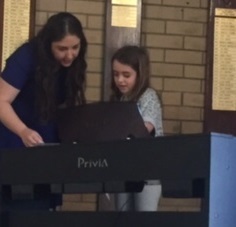 Ella for making it through to the final round of Sound of Music auditions – we all have our fingers crossed! What fate awaits MacHeath? Will he escape death on the gallows? Starring a young vibrant cast of up and coming West Australian performers and musicians this is one production not to be missed. 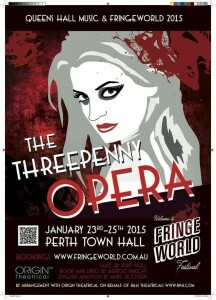 Showing at Perth Town Hall on January 23, 24 and 25. Go to the Fringeworld website for more information. When his parents get divorced and he’s forced to move from New York to a small town in Indiana, Evan Goldman just wants to make friends and survive the school year – easier said than done. The most popular guy in school is threatening to ruin his life and his only friend, Patrice, won’t talk to him. The school freak sees an opportunity for blackmail and someone is spreading the nastiest rumors. 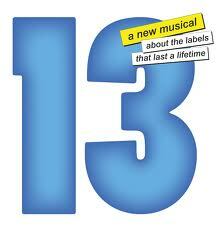 With an unforgettable rock score from Tony Award-winning composer Jason Robert Brown, 13 is an hilarious, high-energy musical for all ages, about discovering that cool is where you where you find it, and sometimes where you least expect it. 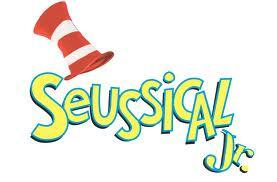 Showing February 4-14 at Playlovers Theatre. 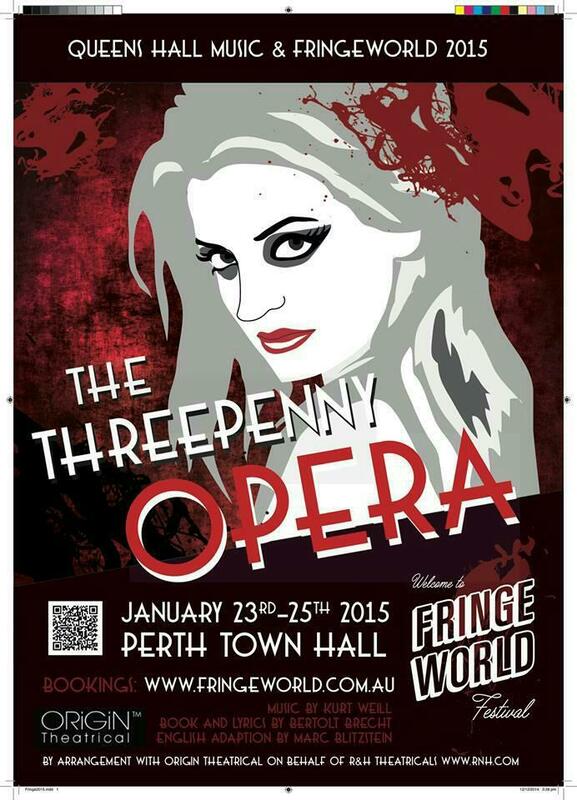 Visit the Fringeworld website for more information. 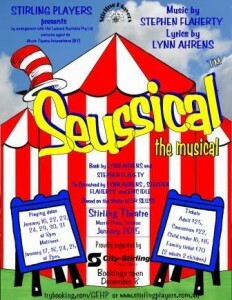 Seussical is a fantasy musical based on the Dr Seuss books, and many of his stories have been woven into this magical adventure. This family musical is based mainly on Horton Hears a Who!, Horton Hatches the Egg and The One Feather Tail of Gertrude McFuzz. There are numerous references to other stories such as Green Eggs and Ham, The Grinch and of course The Cat in the Hat. Seussical explores universal themes of love, loyalty, perseverance and the keeping of promises, in a fun way through a range of musical genres. 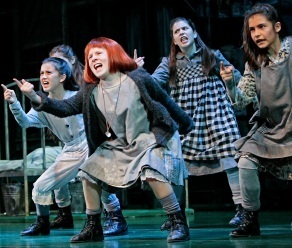 It is a wonderful show that will appeal to people of all ages. Showing January 16-31 at Stirling Theatre, check out their website for more information.